Please, I am deadly serious about this. Unless you possess the above two criteria, this programme will be a waste of your money. Firstly, you need to get your marketing sorted out. There are plenty of programmes on this web site that will help you do that. The second thing is that you MUST learn how to Performance Manage your business so that you can CREATE CONTROLLABLE, PREDICTABLE, SIGNIFICANT AND SECURE GROWTH. 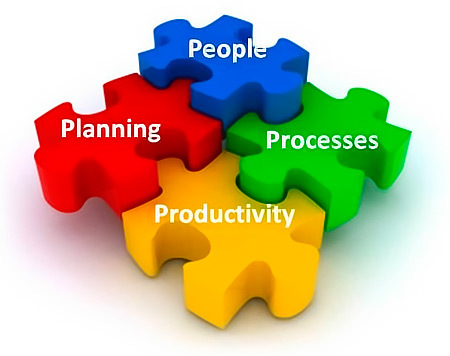 This means you systemise the business and then train and manage people to run those systems. That process, when done right, is what creates business wealth. Most businesses run about as smoothly as pigs on stilts lurching from one unpredictable crisis to the next but by getting the above four critical elements working in harmony with each other your life will be more relaxed and your business immensely more profitable. The 80-20 Performance Management System is THE proven master system for creating and achieving business objectives and then predictably engaging and empowering your team in achieving those objectives. You’ll also receive a comprehensive appendix of forms, guides and checklists in Word document format so you can brand with your own logos and implement them straight into your business for immediate impact. 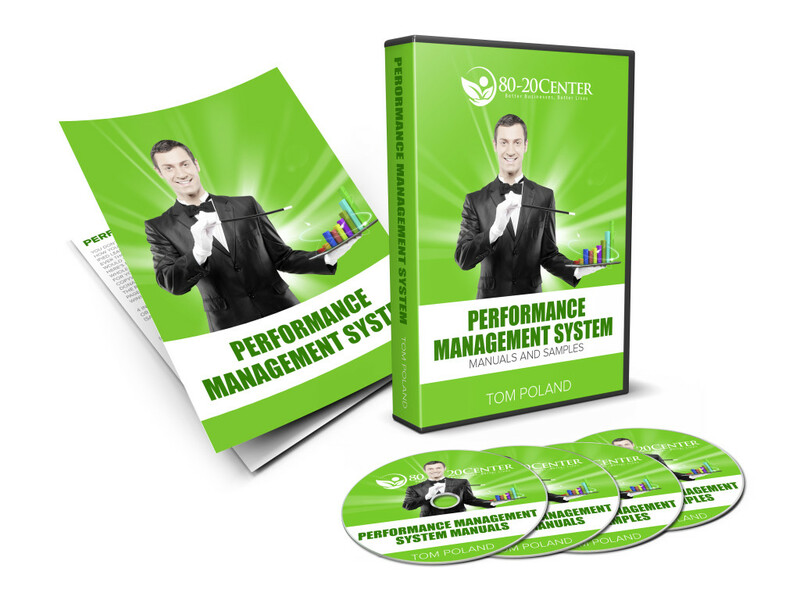 The course is a simple, step by step system for implementing Performance Management in your business – I guarantee that you will not find a more simpler or more effective treatment of this subject specifically designed to make it easy for small business owners like you to implement. If within 365 days after purchasing this program you believe you find a better system then simply send the material back to me and I will cheerfully and without hesitation refund your money. 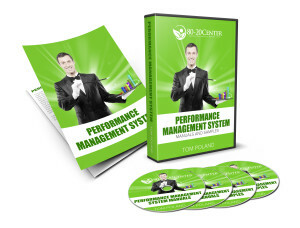 Money back guarantee #2: If you can honestly write to me saying that you have implemented the Performance Management Model as recommended and you do not add at least $25,000 to your profit during the following 12 months you may return all the course material within 24 months of purchase to me at PO Box 222, Maleny, QLD 4552, Australia for a full refund. Complete transcript of all 34,731 words!